How do ZZap Coin Counters Work? ZZap coin counters are designed to simplify your cash handing process, save time and eliminate human error. Before we look into how they work, it’s important to understand the different types of coin counters. 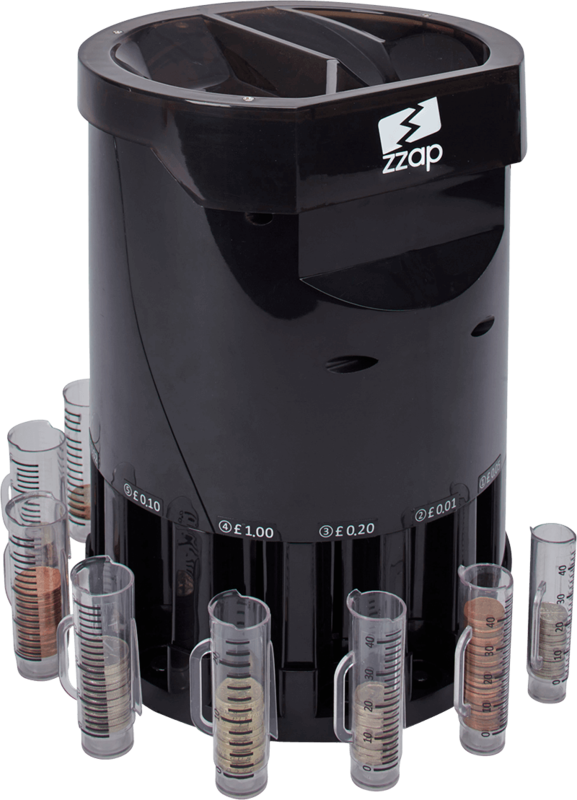 Coin sorters such as the ZZap CS10 sort coins into separate tubes. Once the coins are sorted, counting has to be done manually. To make life easier the ZZap CS10 has markings on each tube to indicate the quantity counted. Coin counters such as the ZZap CC10 can only count one denomination at a time. The user can select a denomination using the dials on the machine. 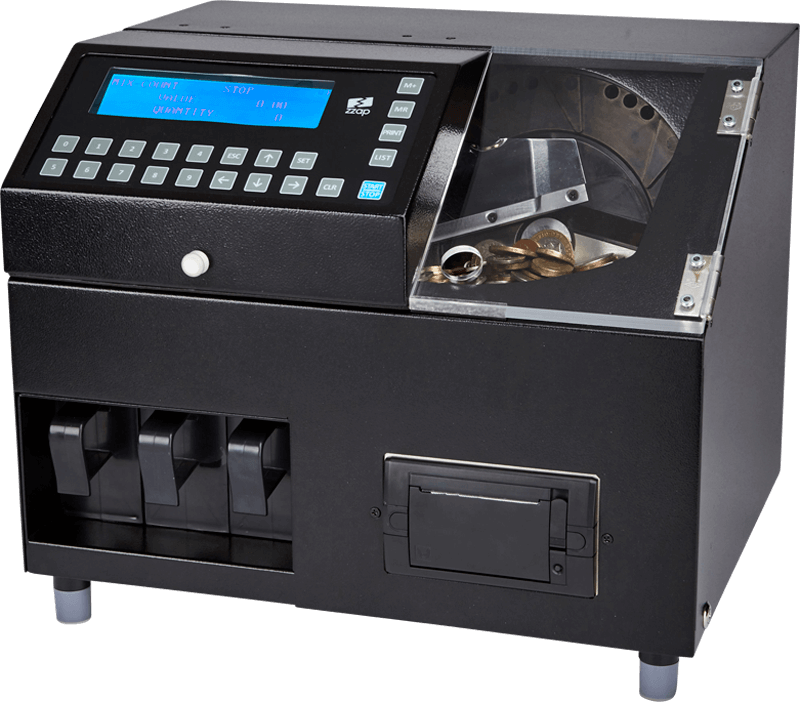 Coin counters are perfect for amusement arcades and other establishments that deal with large volumes of presorted coins. 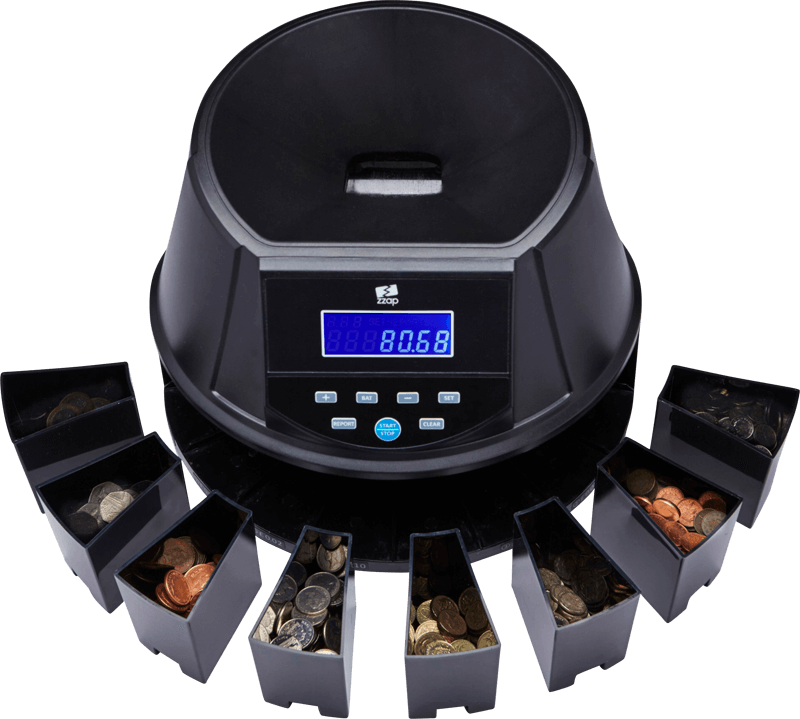 Coin counters and sorters such as the ZZap CS30 sort the coins into separate trays while displaying the total value and quantity counted. They can also report the total value and quantity counted for each denomination. Coin counters are not all created equal. Their counting speed, functionality and design vary. 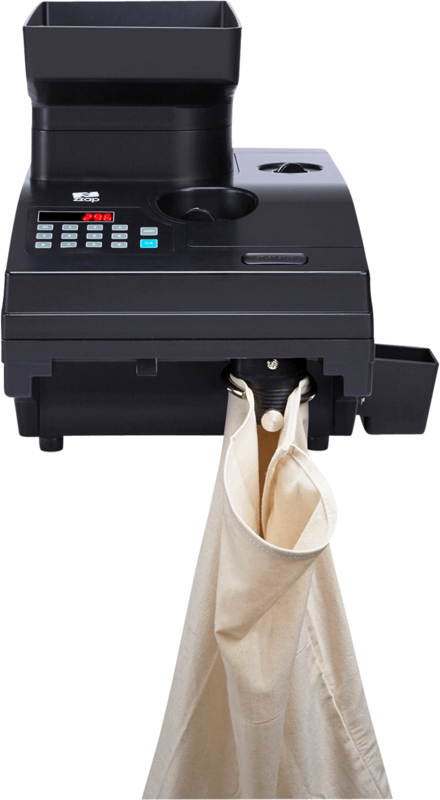 At one end of the spectrum you have coin sorters such as the ZZap CS10 that perform only one function and have a low sorting speed (still a lot faster than if you sorted them manually). 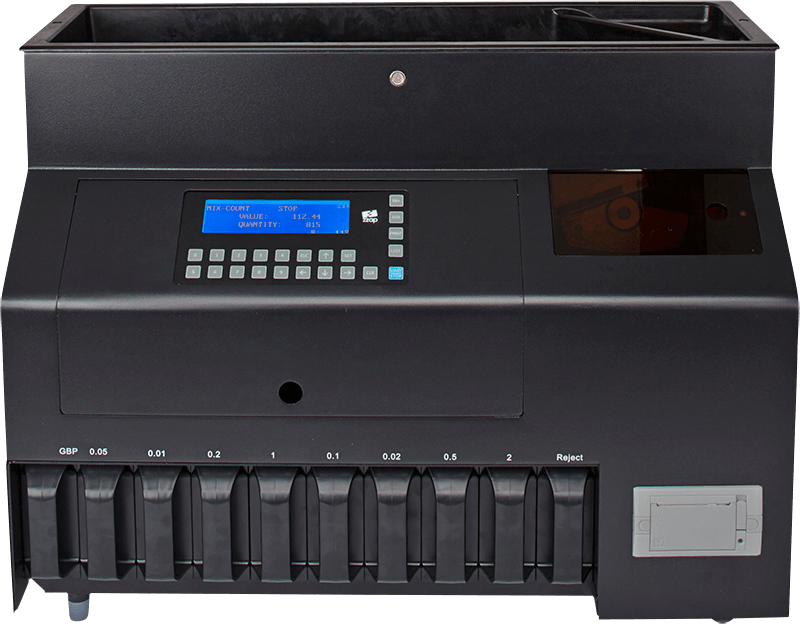 At the other end of the spectrum you have coin counters such as the ZZap CS80 that perform advanced coin rejection and are designed to handle millions of coins per year. Unlike banknote counters, coin counters are only configured to count one currency. That’s why ZZap offers coin counters for different currencies.